USD 261 serves breakfast and lunch to students daily. 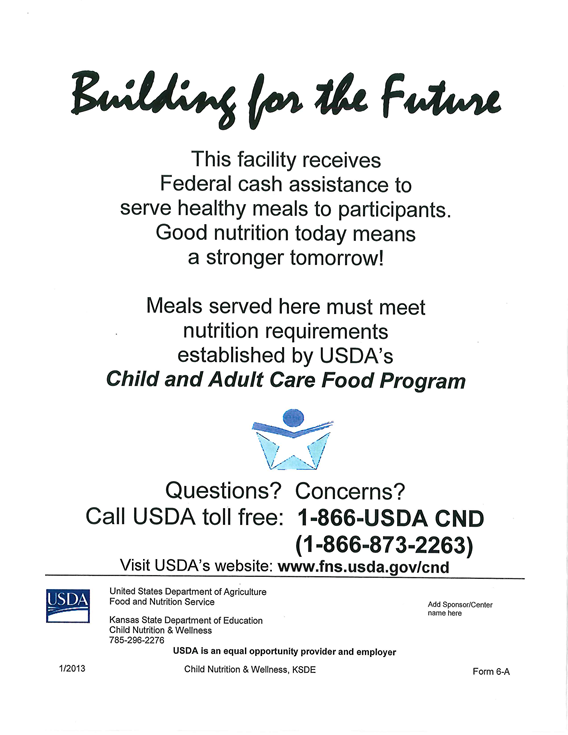 USD 261 participates in the Child Nutrition Program to assist eligible families with school meals. To apply for the Child Nutrition Program, simply complete an application and submit it to the Food Service Office. See the application for eligibility requirements. Haysville Schools utilizes the online program, My School Bucks, which allows parents/guardians the ability to manage their child's meal account online. 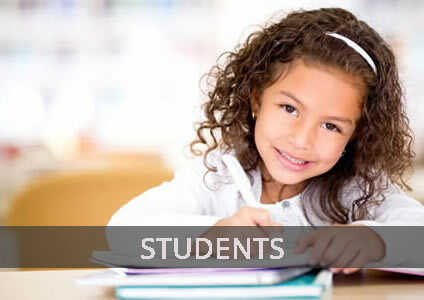 Go to www.myschoolbucks.com to view details of this time saving program. Don't have Adobe Acrobat Reader? Download it here! For parents with busy morning schedules, it’s sometimes difficult to ensure that kids are eating a healthy breakfast before they head off to school. Children often aren’t ready to eat right after waking up, and it can be challenging to find nutritious breakfast foods they like. Some kids refuse breakfast at home and discover that they are hungry when they arrive at school. The School Breakfast Program provides a great option for parents. As you may know, a great breakfast is offered for all students at school. Studies have proven that kids who eat breakfast achieve higher academic scores, are more alert in class, visit the school nurse less often, and are better behaved in school. If morning meals are difficult for your family, let the School Breakfast Program help you out! What if my child has food allergies or dietary special needs, will you modify meals? Federal regulations require the school to receive written instructions from an appropriate medical authority before the school can modify your child's meals. A recognized medical authority must complete one of the following forms to document your child's current special dietary needs. All parents using the meal modification forms MUST contact Gina Lee, Director of Food Services, to set up an appointment to review the dietary needs of their students. Medical Statement to Request School Meal Modification for Student with Special Dietary Needs Due to Disability OR Food Allergy/Intolerance: If the student has a disability that affects his/her diet, a licensed physician must complete the form OR if the student has a food allergy or intolerance, a physician or other recognized medical authority (i.e. physician's assistant or nurse practitioner) must complete the form. Medical Discontinuation of School Meal Modifications Prescribed by a Medical Authority: If the student no longer needs meal modifications the form must be completed by a licensed medical authority. The medical authority must list on the form all foods that are to be eliminated from the diet and foods that may be substituted. The appropriate medical statement should be dated no earlier than July 1, 2016. To ensure your student's special dietary needs are met on the first day of school, the parent/guardian MUST contact Gina Lee, Director of Food Services, to make an appointment to go over the student's dietary needs for the 2016-17 school year. Contact Gina Lee at the Food Service office, 316-554-2219. Important: Please sign the appropriate medical statement. If the school staff need additional information to clarify how to carry out the diet prescription, your signature is required for the physician or medical authority to share information with the school. A supervisor may be hired by the board to oversee the district's food service program. The building principal shall inspect each lunchroom to ensure that proper sanitation procedures are being followed. The supervisor shall be responsible for keeping food service records required by state and federal laws and regulations. The supervisor shall be under the direct supervision of the assistant superintendent of Business and Finance and shall have control over all aspects of the district's food service programs subject to board policy, rules and state and federal regulations. Meal prices shall be determined by the board. Parents or guardians of students attending schools participating in federal school meal programs must be informed of the availability of reimbursable school meals and provided with information about eligibility and the process for applying for free or reduced price meals on or before the start of school each year. The district’s meal charging requirements are as follows. A charge account for students paying full or reduced price for meals may be established with the district. Students may charge no more than $5 worth of meals to this account. Charging of a la carte or extra items to this account will not be permitted. Any student failing to keep his/her account solvent as required by the district shall not be allowed to charge further meals until the negative account balance has been paid in full. Students who have charged the maximum allowance to this account and cannot pay out of pocket for a meal will be provided an alternate meal consisting of cereal and milk. Balances will be maintained in Power School and My School Bucks. Payments for school meals may be made at the school or online at www.myschoolbucks.com. Students, parents, and guardians of students are encouraged to prepay meal costs. The district will provide a copy of this unpaid meal charges policy to all households at or before the start of school each year and to families and students that transfer into the district at the time of transfer. The terms of this policy will also be communicated to all district staff responsible for enforcing any aspect of the policy. Records of how and when it is communicated to households and staff will be retained.